Paediatric training. 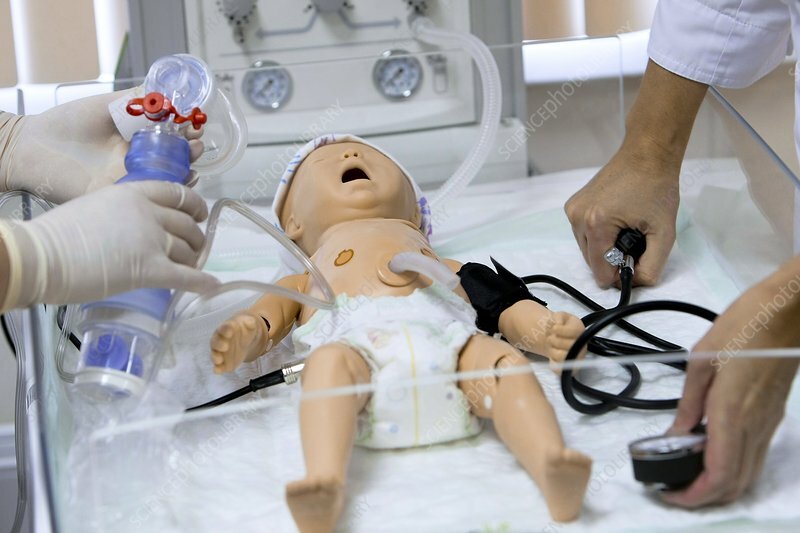 A baby mannequin used to train medical staff. The mannequin is equipped with sensors and signal generators that mimic the vital signs and sounds of a newborn baby that are used to diagnose various medical conditions. Photographed at the Federal Centre of Heart, Blood and Endocrinology at St. Petersburg, Russia.